Video messaging is super fun, but hasn’t found a permanent place on our phones yet. Even though chat apps like Facebook Messenger, WhatsApp and WeChat are widely used, seperate services for video haven’t taken off in a big way. Apps like Airtime and Houseparty are trying to make us like video messaging more by putting you and your friends in a virtual room, giving you the ability to talk to each other. Tribe is taking a different approach. The company launched earlier in 2016 with an app based around an easy to navigate interface they called ‘the walkie talkie, reinvented’. By holding down a button with your friend’s face you can immediately send that person a video message. This week the company released an update bringing the chat experience to another level. 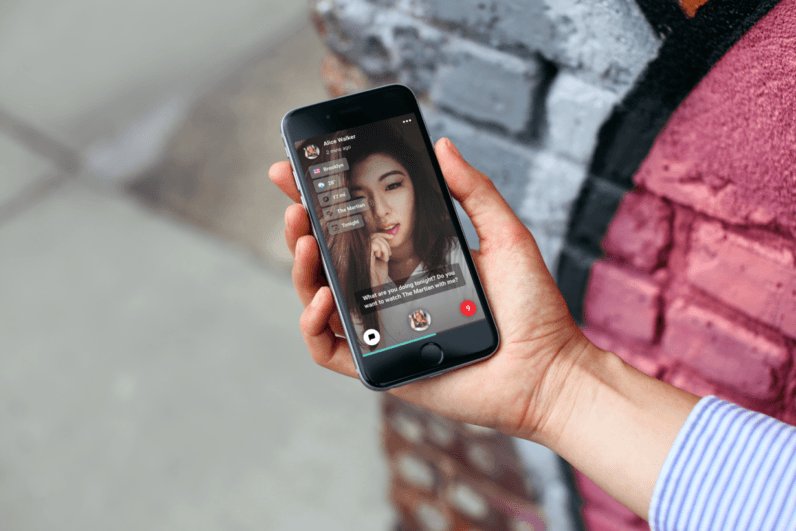 By introducing something they call Augmented Messaging, the app is now able to listen to the words you’re saying in your video messages, and deliver relevant information about them. For example: If you’re mentioning someone famous like Tim Cook, it automatically displays a link to more information like their Twitter account and official website. The voice recognition also picks up on a lot of other categories like movies, brands, consumer goods and music — all linking to relevant information. And if you’re talking about how you should have coffee to catch up, it can automatically create a calendar invite for both of you. It’s unclear how many integrations there are exactly, but in a way that’s also what makes the app charming — when you’re talking to someone and casually mentioning things that end up being a Magic Word, it really feels like magic. I don’t know if that’s enough to convert to video messaging, but at the very least it’s extremely fun. Tribe is a free download on the App Store and Google Play.